Procession and discussion meeting held at 50th anniversary of Naxalbari was held in Dhaka on 25th May. At around 3:30 pm a procession started from the Press Club to Progoti conference room, Mukti Bhawan, 2 Purana Paltan in Dhaka. The meeting and Discussion was led by Jafar Hossain, assisted by Atif Anik started at 4.15 pm. The discussion started with respect to the heroes of Naxalbari. The following comrades spoke and gave statements during the conference: Masud Khan, President of National Democratic People’s Forum; Anis Raihan, political activist and organizer; Professor Md. Nurannabi; Bijan Sommanit, member of Shahid Biplobi and Deshpremik Smriti Sangsad; Biplab Bhattacharjo, convener of Revolutionary student-youth movement; Badal Shah Alam, editor of Khanan magazine; Lalfauj’s secretary Prince Ahmed; Hasan Fakri, President of Shahid Biplob and Deshpremik Smriti Sangsad. At the end of the discussion meeting, a team of Revolutionary Workers Movement and Revolutionary Student-Youth Movement sang revolutionary songs. Publicado por dazibao rojo en 5:19 p. m.
Below I am reproducing parts from Gautam Navlakaha’s ‘In a Heartland of Rebellion.’It accurately reveals the extent of revolutionary democracy the Maoists had built up and their practice of mass line. What is my overall impression? How do I read the Maoist movement in DK? I am convinced that this war will be unlike any other war which Indian government has waged in the last 63 years. That this is one war which will test the resilience of the Indian state as it has never been done before. Precisely because it is a war in which people are fighting in their own territory to save their land, forest, water, minerals, from being grabbed and they are convinced that they have an alternate vision, not just for themselves, the adivasis, but for Indian people as a whole. It is a different ball game altogether when a people feel that destiny beckons them to emancipate themselves in order that they can inspire fellow country men and women to rally around them and follow their example. However, no movement in India has so much to its credit and yet so little written about it or so much abuse hurled at them. Far less than this gets talked about and celebrated. Those of us, who believe in liberty with equality , must rejoice at the remarkable strides Maoists have taken and in showing us how far the spirit of serve the people can take us. They are not saints, certainly not sinners, but as mortals they have shown what an unflinching commitment to bring about social transformation actually means. Critics can find faults, magnify them, over-read them, rulers can try to eliminate , cripple and choke , to use the words employed by the PM, to wipe them out, but it is not possible to deny that they are rooted among people, they survive because of this, and they are expanding politically because poor and deprived believe in them. Its not only Maoists reaching out to people but people are reaching out to them and inviting them to enter new areas, to assist them in their everyday struggles. Therefore, I believe that whether they are dealt a setback or lose their base or bases here or there, this movement is not going to be obliterated. I think that if they are pushed from one area they will sprout elsewhere. This is the significance of their claim that they are thinking in terms of 50-60 years and not just here and now. They are here to stay. This represents a significant shift. So, one should not belittle their achievement. All the more because while scholars and activists talk about alternative development models and paradigms, here are Maoists who have been practicing it for last thirty years among millions of Indians. And not only are they developing agriculture, introducing social and economic reforms, debating social mores but are engaged in working out their own take on industrialization, mining ..Yes it is small step when you consider the vast canvas of India. But is there any other political formation which has come anywhere close to what they have achieved against this many odds? Ironically, whatever document one was given to read or conversation we had was invariably punctuated with their admission of many a shortcoming or mistake or weakness. . While I consider them honest admission I believe these are highly exaggerated. One of the things which stuck me was that unlike elsewhere where people tend to over blow their achievement here party was being modest about them. Constantly talking about the problems they face or what needed to be done. For instance when I asked why is it that there is so little written material in shape of travelogue, reportage, party documentation etc on DK movement? There are few books available in Hindi, even these are translated from Telugu or Punjabi, and there is booklet brought out by the party on the development work in DK which is available in English and Hindi. But these are few and far in between. P Shankar s book yeh jungle hamara hai (This Forest Belongs to Us) needs updating since it was written in 1997 in Telugu and later translated into Hindi. Somehow the answer was that they never got round to doing this. Why? Did they not know that their detractors have used this knowledge deficit to malign them? Yes, they did especially when in the initial period of Salwa Judum they were blamed for bringing white terror upon themselves. They were accused of having stopped adivasis from plucking tendu leaf. Whereas the truth was that we were opposed to government announced price of less than Rs 50 for a bundle of 50 leaves when private contractors were offering nearly double the rates. That was the period when we realized that some intellectuals were levelling charges against us by believing whatever was told them in the Salwa Judum camps. But why did they not publicize their achievement? Here they were practicing alternate development enriching adivasi society be it in terms of economic activities, health, education, development of their language (developing a new script) and preserving tribal culture ..Why did they not encourage more write ups on their experience and work in DK? I could not find satisfactory answer; I was met with shy smiles. My own take is that for years DK was seen as an adjunct to the movement in AP. By the time it took roots and organs of people s power began to consolidate nearly two decades had passed. It was around the turn of this millennium that serious efforts were made to invite writers to come, visit and write. This picked up with the formation of CPI (Maoists) with significant presence in several states and setback experienced in AP. The remarkable thing is that party in DK is strongly located among the poor adivasis and women. The advantage of entering an area which had been overlooked by the Indian State for decades, where political parties were marked by their absence, proved to provide the Maoists with a tremendous advantage. This they seized and as a result the progress made, the utilization of resources and how far it went – against Indian State s record where 12 paise for every rupee allocated reaches the people, here nearly every penny serves the people – the frugality of life of party members in DK as well as the PLGA, the backbone of the movement, makes evident a fact that collective work and commitment to serve the people can make even limited resources go very far. I did not probe whether they debated while utilizing resources the choice between equity and efficiency or how did they resolve it, but it was evident to naked eyes that emphasis was on reaching out to as many as possible with minimum of wastage. The way in which every scrap of paper was saved and used was an everyday reminder. Every scrap was used for scribbling a message, instruction or requirement. Life remains tough and Spartan. The problems the party faces are mounting: on the one hand offensive as well as encirclement by the State and on the other loss of human and material resources. a) In some areas, the lands occupied from landlords in the past are lying fallow due to government repression; when the landlords try to sell these lands, the rich peasants and middle peasants are purchasing them. On such occasions, instead of bringing pressure through the agricultural labourers and poor peasants, who occupied those lands, on those who purchased the lands and stopping the sales, the squads themselves have been thrashing the rich and middle peasants who purchased the lands. b) In the struggle for the eradication of bad habits like liquor consumption, educating the people with a long term view is lacking; in the struggle to obstruct the manufacture of arrack, instead of rallying the people, especially the women, prominence is being given to squad actions only. Physical punishments are being imposed disregarding class basis. c) When problems arise in man-woman relations, especially in matters relating to marriage, judgments are being given without taking into view, the social problems women face. d) In various kinds of people s Panchayats instead of listening to the versions of both sides apart from gathering the needed information from others in the villages also, one sided judgments are being – delivered, under the effect of sectarianism. Now squads have given way to platoons, companies and now they are talking of battalions. In Bastar where land was distributed the ousted landlords have not been able to either sell or take possession of their lands expropriated from them and distributed to poor adivasis by JS. This is opposite to what happened in AP. In AP land which was distributed lay fallow and attempts were made to sell them off which was thwarted through squad action. Indeed during the peak of SJ these lands may have remained fallow, but by now Adivasi peasants have begun to return to cultivate the lands, and size of the land which remains fallow has shrunk. Also in Bastar, JS extends credit and seeds to poor peasants and loans to purchase pair of bullocks provided to poor peasants to encourage them to take to ploughing their fields rather than using shovels to plough the land. Besides, in DK s JS areas there are no arrack shops and only traditional liquor is brewed. Therefore, mobilizing women against arrack shops, so effective in early phase of the movement in AP, is not needed here. Indeed incidence of drunkenness is far less. Punishment meted out is not in excess of mistake committed. In fact people are proud that ordinary crimes have reduced. Finally, an adivasi comrade said that in AP, unlike here in DK, party members had become little lazy. I said really. He said here in DK we do all the work ourselves; even carry our supplies and even when we fetch it from the haat everyone has to chip in to carry it. In AP people would use their mobile and place order and provisions would arrive either in tractor or jeep. He said they exposed themselves to informers and infiltration. Below is a writing of Beranard d’Mello on the Che Gueveras of Telegu Society reviwing the book of ‘Understanding Maoists’ by Venugopal Rao.It reflects weaknesses of military line but to me is still wrong in calling it Che Guevarist. He summarizes the weakness in the maoist militeay strategy in protecting itself from attacks.Here I give great relevance to the analysis of the C.P.R.C.I.(M.L.) line coming from T.Nagi Reddy-D.V.Rao..The basic documents reflect what is true ppw . Today in many region ssubjective factors do not exist for armed struggle and the Maoist party has not reached the stage of base ares the Telengana armed struggle achieved. Germany, Berlin: Long live People’s War! 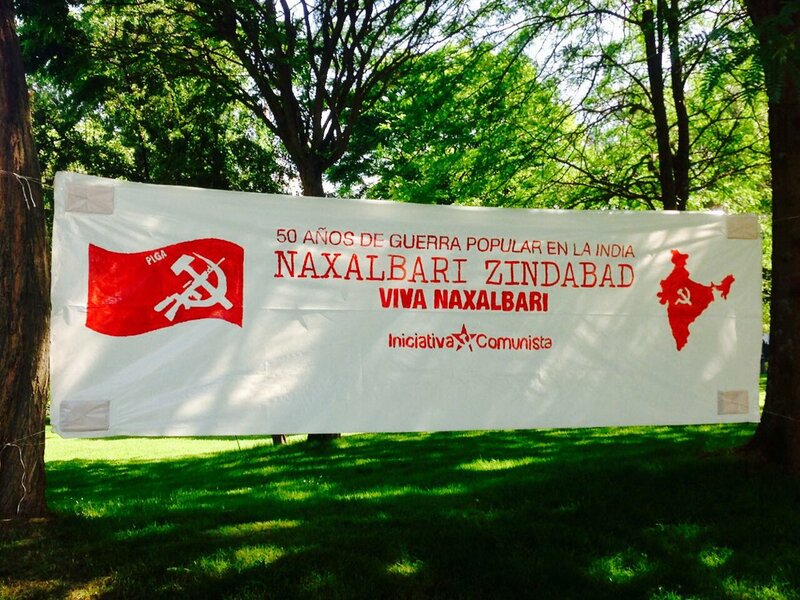 On 20 May, an international action day took place on the occasion of the 50th anniversary of the Naxalbari insurrection. In May 1967, in the village of Naxalbari in the Indian West Bengal Valley, inspired by the Chinese communist fight under Mao Tse-Tung, an armed peasant uprising spread and intensified rapidly like a steppe firing. 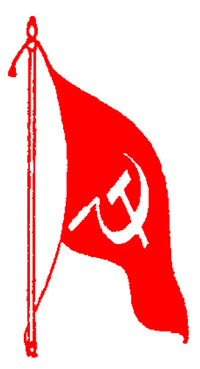 This insurrection is the beginning of the Maoist movement in India and the root of what is today the Communist Party of India (Maoist) and the oppressed masses of India in the new democratic revolution, in the People’s War against the old semi-colonial state. Important Communist leaders such as Charu Mazumdar emerged in this uprising and were forged and shaped in it, even in the bitter ideological and practical struggle against revisionism and betrayal. The struggle of the Indian masses, under the leadership of their Communist Party, is now progressing always more, and has also an immense radiance far beyond India. For us as proletarian internationalists, the moral support of comrades is an absolute duty in addition to the fulfillment of our own tasks here in the country. Victory of the Indian Revolution! 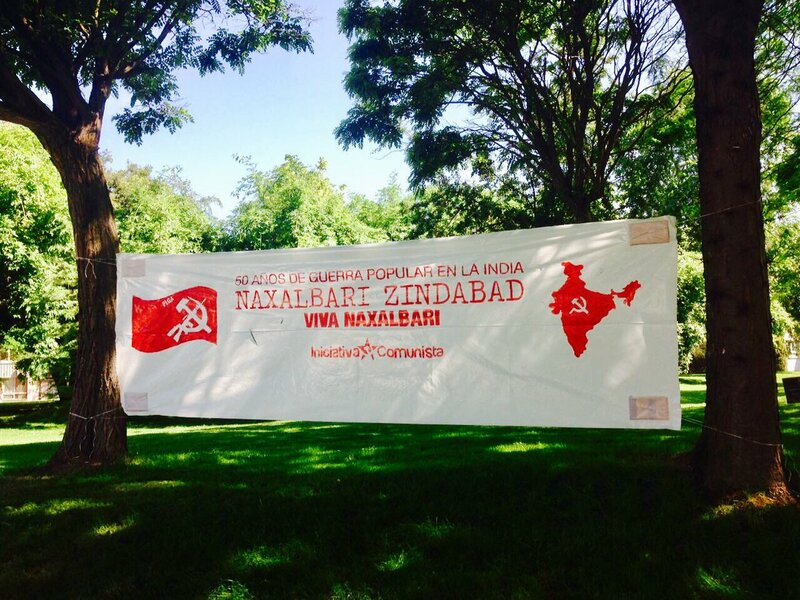 – Long live Naxalbari! – Long live the People’s War! On May 17, 1980, under the leadership of President Gonzalo, the Peruvian Communist Party initiated the People’s War in Peru to free the country from imperialism and its lackeys. With the combustion of the ballot boxes, they began the armed struggle and the ideological acuity developed in this heroic struggle is today a central component of our ideology, Marxism-Leninism-Maoism. Glory and honor to the Peruvian people! – Long live the beginning of the armed struggle! – Long live the People’s War! On May 18, 1973, after several months of imprisonment, the Communist leader of Turkey – Ibrahim Kaypakkaya – was murdered under heavy torture and thus became the immortal martyr of our movement and the international proletariat. He had founded the Communist Party of Turkey (Marxist-Leninist) and carried out armed actions. His constancy and his militant devotion to the revolution still inspire revolutionaries far beyond Turkey and Kurdistan. Halk savasi ölümsüzdür / People’s war is immortal! – Go ahead on Ibrahim Kaypakkaya’s way! – Long live the People’s War! In India, the great Naxalbari peasant revolutionary armed uprising – which is going to complete its fiftieth anniversary – was influenced and inspired by the GPCR. Naxalbari was a path-breaking event under the leadership of comrade Charu Majumdar – one of the two great leaders, teachers and fore-founders of CPI (Maoist) comrades CM and KC – which marked a new beginning in the history of the country’s democratic revolution.